A young boy eats a healthy meal at school in Neyaashiinigmiing. I have seen first-hand the impact Canadians like you are having in the lives of children. 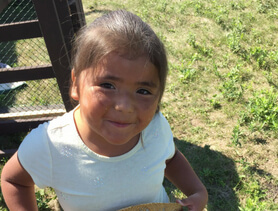 I’m the Healthy Living Program Coordinator at the Kikendaasogamig Elementary School in Neyaashiinigmiing – a First Nation community in Ontario. 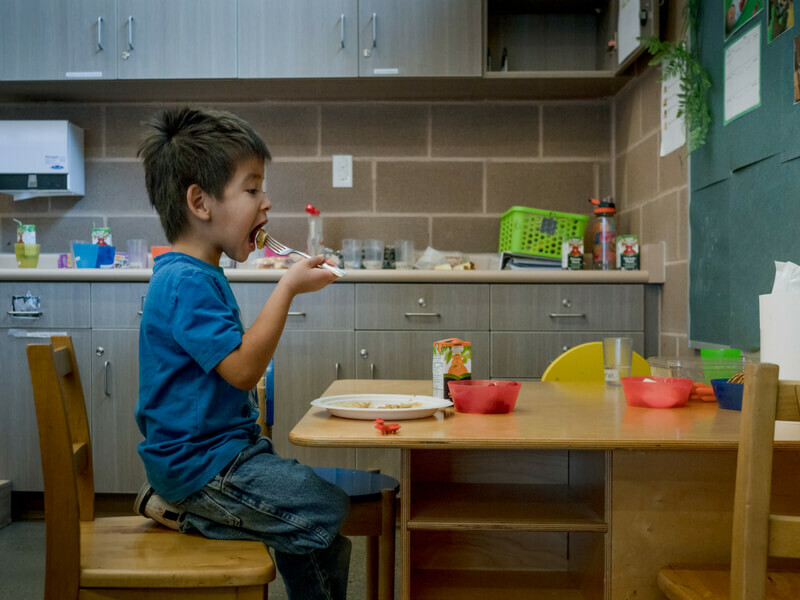 Before our partnership with Canadian Feed The Children, we had children who would come to class hungry because they had very little food at home. 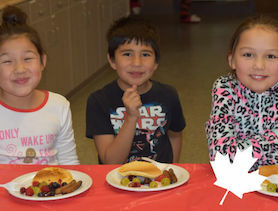 Today, all our students know they can always count on healthy meals at school. Thank you! I know it is hard to believe that in this day and age, in Canada, there are still children who go without food. But sadly it’s true. The partnership with Canadian Feed The Children and donors like you has been an absolute blessing for our community. I know I can count on you to help children in other communities like mine, too. 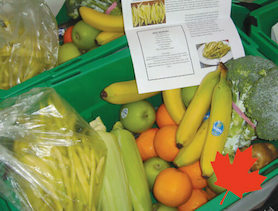 Fresh produce boxes with handy recipe guides and nutrition tips are welcome in Indigenous communities where fruits and vegetables are often unavailable or unaffordable.